Facility Construction and Maintenance – By transforming design concepts into fully functional facilities, we support the infrastructure that keeps oil and gas flowing. Our comprehensive experience includes creating, modifying and maintaining production facilities onshore & offshore, mining, pipelines, refining, and petrochemical plants. Fabrication – At Peak, we’re well-equipped to provide fabrication services in support of all phases of general construction. We build truckable modules, production modules, pipe spools, pressure vessels and modify oil and gas processing equipment, and perform specialty welding. Cranes and Rigging – Big jobs require big capabilities. Our lifting and rigging expertise are industry-recognized. From complicated two-crane tandem picks to a straightforward module placement, we provide the equipment and skill to meet our clients’ needs. 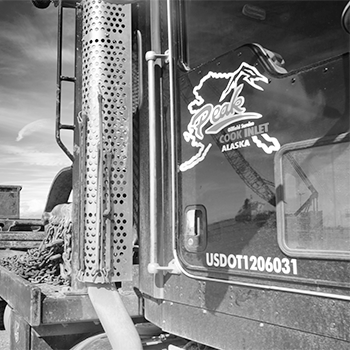 Our fleet ranges from 45-ton rough terrain to 350-ton track cranes, and each crew is certified and fully trained to the highest standards. Civil Technologies –We offer innovative solutions for floor and foundation repair. Our team specializes in secondary containment projects. We provide concrete floor lifting and foundation stabilization, using both closed cell polyurethane structural foam and helical pier systems. We also offer construction from the ground up on both welded geomembrane and spray-in polyuria secondary containment systems.